On this site you can learn how to use the material on Darwinarkivet.dk in your classes. Maybe your teacher gave you an assignment? Maybe you need to find the answer to one very specific question? Or maybe you are working on a paper about a certain topic or need to present an issue to the class. On the left side of this page, you can find a guide line, some assignments you can start out with and some great stories, which can be used for project papers. You can also learn where to find more information on Charles Darwin and the reception of his theory in Denmark. All material on these pages is written by researchers at Aarhus University. 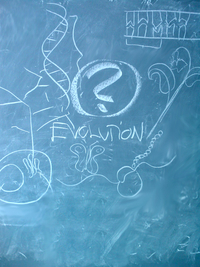 We have thereby ensured that the leading experts in the country are helping you become more knowledgeable about the reception of Darwin’s evolutionary theory in Denmark. It’s great to know what you are talking about!